Ely, Minnesota has earned the nickname of the “Sled Dog Capital” of the United States. 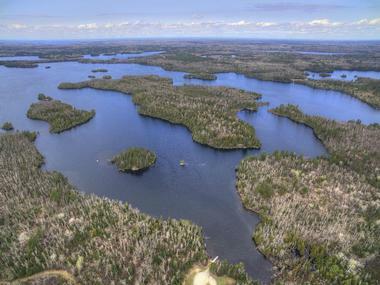 It serves as a gateway to the state’s Boundary Waters Canoe Area Wilderness. Ely, Minnesota is a great destination to spend at least a few days for anyone who loves the great outdoors. Sheridan Street of downtown Ely, Minnesota features one thing that the majority of other towns and cities through the United States don’t: webcams. One such cam is pointed at the Basket Tree, which is a coffee shop, bakery, and gift shop all-in-one. While it may seem like a strange idea, many residents and visitors alike enjoy these cameras, as they give them a chance to wave at friends and family back home or use them to remember the fun they had in downtown Ely. Another cam focuses on Fall Lake at the Packsack Canoe Outfitters, through which sometimes deer and birds can be seen. The International Wolf Center strives to help to the survival of the wolf populations by teaching visitors about wolves, the role of humans in their future, and their relationship with the wildlands. The triangular windows of the center are representative of wolf ears and eyes. 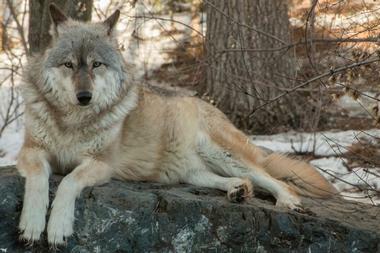 There is an observation area that overlooks the wolf enclosure, as well as the den site, which is home to the center’s resident wolf pack. The centers provides an array of educational programs for families and adults. Week-long, weekend, or even just afternoon visits may include hikes, dog sledding, snowshoe treks, radio tracking, and howling trips. 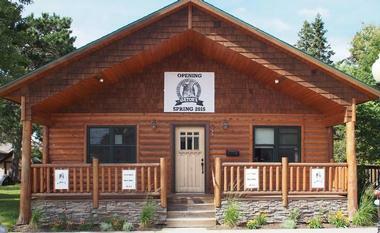 There is no other wildlife and black bear educational facility in existence like the North American Bear Center. The center is dedicated to replacing myths with facts, and allows people to learn about ecology, bear behavior, and more from bears themselves. A mural that depicts the wildlife of the area greets visitors to the Bear Center. Bear mounts are posed naturally, and the center also features a life-size skeleton replica of the extinct short-faced bear. An entire wall of windows looks out over the bear enclosure, which includes waterfalls and a pond. Subtle, natural background sounds and video footage accompany the exhibits. The Kawishiwi Falls Trail, located just outside of the town of Ely, Minnesota, is an easy, short hike that leads to the scenic Kawishiwi Falls. The walking trail to the waterfall starts at the trail’s parking lot, and then winds its way through a wooded area. The trail features a minimal elevation gain, making it a very easy walk that can be enjoyed by visitors of all ages. There are a number of different vantage points along the trail of the Kawishiwi Falls, such as above the falls, from the side of the falls, and below the falls. The Dorothy Molter Museum aims to preserve and interpret the heritage of the Northwoods wilderness through its learning opportunities that are inspired by Dorothy Molter, who was the last non-indigenous resident of Minnesota’s Boundary Waters Canoe Area Wilderness. Guided tours are available every hour, lasting around thirty minutes. These tour begin at noon, with the last tour taking place at four in the afternoon. The museum’s Visitors Center consists of rotating, small interpretive displays focusing on Dorothy Molter’s life that can be seen at no charge. The collection of the museum includes personal memorabilia and objects of Dorothy, archives, and photographs. Bear Head Lake State Park is a massive secluded park near the town of Ely, located in the Northwoods. The scenic park features pristine lakes, offering miles of shoreline that can be explored through hiking, boating, and canoeing. Bear Head Lake Park is also home to an array of different wildlife, such as moose, wolves, foxes, and eagles. Guests can have a picnic at the shelter; fish for trout, bass, or walleye; or go swimming at the park’s beach as well. RV and tent campsites can be found, as well as camper cabins that feature bunk beds, simple furnishings, and electricity. There are several loop options along the Bass Lake Trail, with the longest one being around six miles in length. Traveling all of the trail’s loops, of course, would be quite a bit farther of a walk than six miles. Along the Bass Lake Trail are a variety of chances to take in amazing scenery, From beautiful overlooks to varied terrain to small waterfalls, hikers can explore plenty of the scenic area. Sections of the hiking trail are steep and rugged, so visitors of the Bass Lake Trail should be sure to wear sturdy shoes, and children should also be watched carefully. 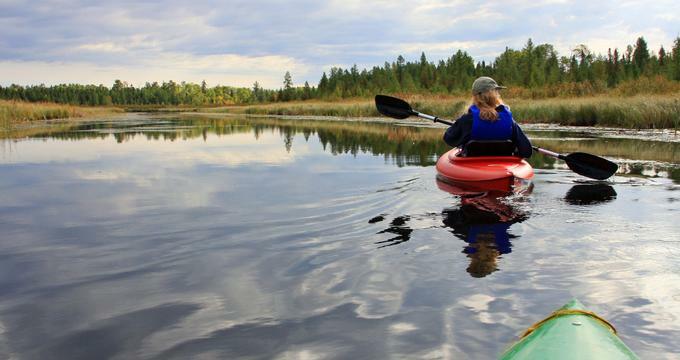 Situated just five miles to south from Ely, Way To Go Canoe Outfitters is located in the Superior National Forest, which provides access to every entry point into the Quetico Provincial Park and Boundary Waters Canoe Area Wilderness. 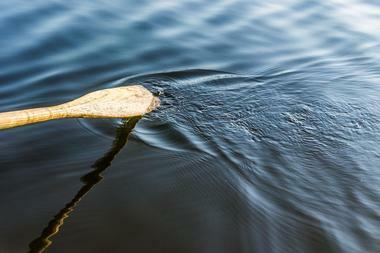 The company specializes in canoe trip outfitting that features a personal touch. Jeff and Donna Hway, along with their family, possess over ninety years of combined experience exploring and fishing the waterways and portage trails in the area. The picturesque northwoods offer the perfect setting for their base of operations, allowing guests to easily transition from hectic everyday life to the wilderness’ tranquility. For White Wilderness Sled Dog Adventures, dog sledding is what they do. First and foremost, they are not an arctic exploration or racing kennel. 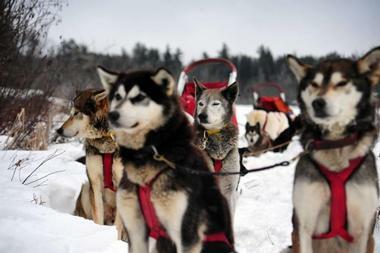 They are instead a professional tour provider with the best dogs for visitors wanting a dog sledding trip. Trained and experienced staff lead quality, safe mushing trips. The dogs of White Wilderness Sled Dog Adventures are lovable, socialized, and well-trained. These dogs, combined with quality equipment and great food, help make every dog sledding trip comfortable, safe, and memorable. There are many different types of trips available, designed to meet the needs of private groups, families, couples, or individuals. The Piragis Northwoods Company focuses on outfitting and guiding various canoe trips that explore the Boundary Waters Canoe Area Wilderness. Groups are kept small in size so guests can receive the personal attention that they deserve, as well as to offer the opportunity to experience the beautiful wilderness in a more intimate way. The experience and travels of the staff give the Piragis Northwoods Company a natural advantage in the outfitting industry. They use the equipment they sell to paddle in their own time, giving them the knowledge of paddling to be expert guides of the area. Wintergreen Dogsled Day Trips claims to be the most experience dog sledding outfitter around, as well as the only lodge operation that is exclusively devoted to dog sledding. According to National Geographic, at Wintergreen, guests will “mush with the best.” The business has offered lodge-to-lodge dog sledding vacations that are designed for people of all ages for over thirty years, including dogsled camping trips for both beginners and more advanced customers. Trips range from dog sledding vacations for parent-child pairs to dog sled trips that last three or four nights. The Arctic Treks are great for those seeking a true adventure. White Wolf Dog Sled Trips offers the chance to experience the beautiful and silent world of winter within the northern region of the state of Minnesota, as well as the exhilaration of dog sledding. Dog sledding grew in popularity thanks The Iditarod, which receives a greater amount of national media attention every year. The eager, smiling, beautiful sled dogs win the hearts of so many people. The family that runs White Wolf act as ambassadors of the dog sledding sport and strive to introduce visitors of all ages to the area’s wilderness aboard a dog sled. The Northern Expressions Ice Cream Parlor is an old-time and cute ice cream shop that serves old-fashioned ice cream and homemade waffle cones in the downtown area of Ely, Minnesota. The quaint ice cream parlor is situated in the back of the Northern Expressions shop, a one-of-a-kind “woods” and “up north” gift shop. Inside are old-fashioned stools that offer seating for guests, in addition to outdoor wooden benches. 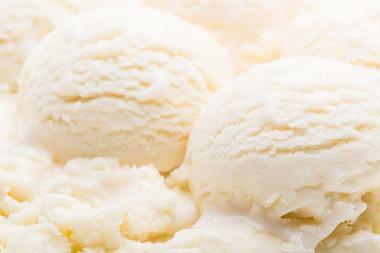 The owner of the North Expressions Ice Cream Parlor is hardworking and offers generous portions of delicious ice cream in a variety of flavors, ranging from traditional flavors to more unique ones. Opened on June 8th of 2015, the Insula Restaurant is owned and operated by Sarah Wigdahl-Vollom and Executive Chef Daniel Vollom. Since it first opened, the restaurant has enlivened the tastebuds and captured the imagination of the town of Ely’s dining scene. The Insula Restaurant responsibly serves the community by using local products to create delicious dishes, while also providing excellent service in a welcoming atmosphere. 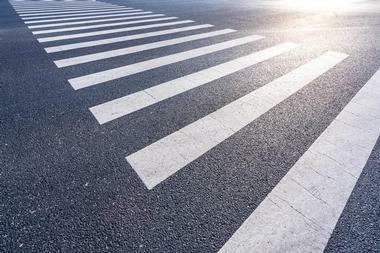 In fairness and the interest of its customers, Insula does not take reservations. Seating at the restaurant is on a first-come, first-served basis. 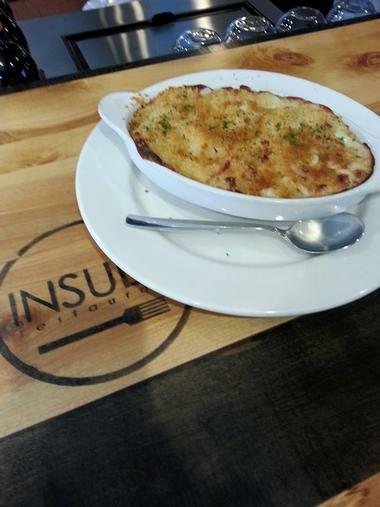 Insula offers fusion American dining, serving burgers, sandwiches, frittatas, and more. 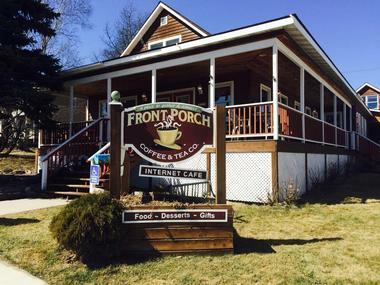 The Front Porch Coffee and Tea Company ins downtown Ely, Minnesota offers shoppers and other visitors and residents a chance to get their coffee fix. Nancy and Doug Scheibe have aimed to provide their guests with a wholesome and eclectic experience with tea, coffee, and dining ever since they first opened the shop in 2005. The Front Porch serves breakfast, lunch, and dinner, and offers gluten-free and low-fat options on their menu. There is a large space for dining, offering plenty of seating, even for larger groups. Customers can also take advantage of the free wireless internet. Red Cabin Custard may just the thing both residents and visitors of Ely alike may need on a hot day during the summer season. The dessert shop near the downtown area of Ely serves delicious custard that is made fresh every day. Customers order at the small building’s side window, and can then choose whether to enjoy their homemade custard at the shop’s picnic tables, at the sheltered picnic area located on the other side of the parking lot, or simply from their own car. 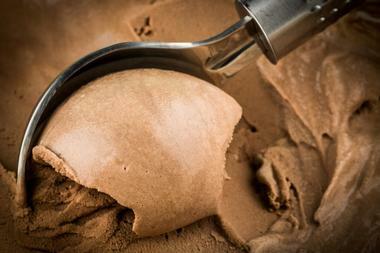 Only checks and cash are accepted, and frozen custard, malts, and shakes are also on the menu. The Boathouse Brewpub and Restaurant is committed to serving great food and making great beer in the north woods of Minnesota’s town of Ely. The Boathouse Brewery is a brewing establishment that carefully walks a fine line between extreme brewing and tedious “drinkability.” Numerous brewers pride themselves on creating rock-solid consistent beers, with each one similar to its predecessor, with a correction for the quirks and variable ingredients of the brewing process. The Boathouse, however, isn’t like most brewers. 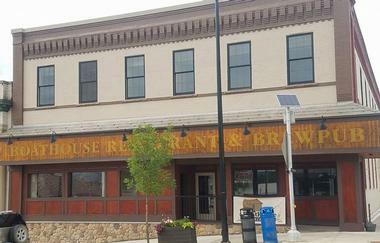 The Brewpub has a core group of regular customers that appreciate more variety. A wide variety of dishes are served at here as well. 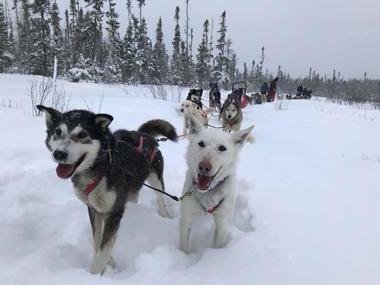 Chilly Dogs Sled Dog Trips offers visitors and residents alike of Ely, Minnesota a memorable, safe, and fun adventure in dog sledding within the stunning northern border country. The base of the adventure tour’s operations is situated only five miles away from the downtown area of Ely, and provides parking, restrooms facilities, and many comforts of home. The Hway family takes good care of their guests, making sure their experience is one they will remember fondly for a long time. Guests will have the unique chance to experience a thrilling dog sled trip during the winter and learn about the area. A great steak and a cold beer may just be what visitors need after a paddle through the Boundary Waters, and the Ely Steak House is just the answer. There are plenty of people, however, who come to the steakhouse to have a meal who have never held a paddle. 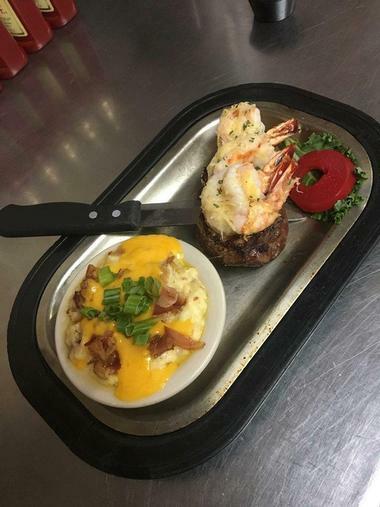 There’’s more than just steaks at the restaurant, however, such as giant walleye sandwiches, the famous “Bucky” burger, fresh coffee, and delicious desserts. The Ely Steak House is also a family-friendly restaurant. There is a lounge in the restaurant that offers the perfect setting to enjoy a hot beverage on a winter night. The Gator's Grilled Cheese Emporium is a hotspot in the town of Ely, focusing, of course, on grilled cheese. There are other items on the restaurant’s menu as well, such as macaroni and cheese, pizza, and more. Customers will find an array of breakfast options at Gator’s, including homemade biscuits and gravy, a breakfast burrito, breakfast salad, and french toast. Guests will definitely find a wide variety of takes on the typical grilled cheese sandwich. Gator’s Grilled Cheese Emporium, which is open every day except for Sunday, also offers free wireless internet for its customers. 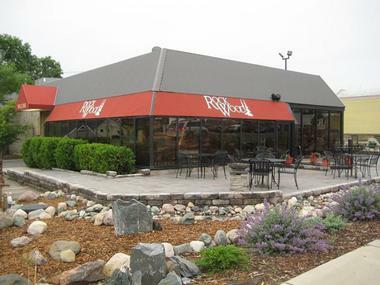 The Rockwood Bar and Grill boasts a menu that is reflective of the flavor of the friendly North Woods of Ely. There are several variations on walleye on the menu that are just as popular with customers as the restaurant’s steaks. The full bar features fourteen different craft beers on tap, as well as an excellent wine list and unique cocktails. The family owned and operated Rockwood hosts live music on Tuesdays and Thursdays, and is known for its friendly service, great food, and fun, relaxing atmosphere. Dishes are made with fresh ingredients and are always made from scratch. The Sir G’s Italian Restaurant serves delicious Italian cuisine, including fresh homemade pasta. This homemade pasta, combined with the owner’s attention to detail, is what has made the Italian restaurant a staple of Ely, Minnesota for decades. Almost everything at the eatery is fresh and made completely from scratch, using equipment actually imported from Italy. The meat used in dishes is locally sourced, and the restaurant goes directly to processors and growers for ingredients, rather than go through vendors. 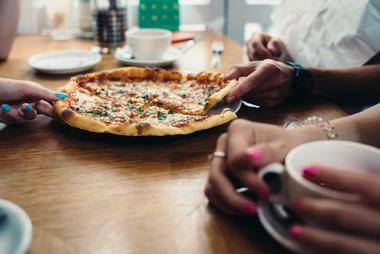 While the pasta has always been a highlight of Sir G’s, many people also come to the local restaurant for pizza.